The National Intelligence Coordinating Agency (NICA) is the primary intelligence gathering and analysis arm of the Philippine government, in charge of carrying out overt, covert, and clandestine intelligence programs. The NICA cooperates with friendly countries and government agencies in and out of the country by posting agents as liaison officers. The agency is led by a director-general and is assisted by a deputy director general. The former reports directly to the president. 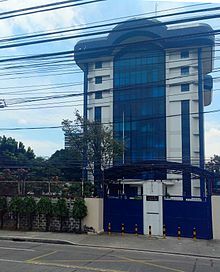 Its headquarters is located in Quezon City. The NICA has a National Intelligence Board that serves as an advisory board to the director-general before he would submit his findings to the president relating to national security matters affecting the Philippines. Founded in 1949, it was created by President Elpidio Quirino under the authority of Executive Order 235 with further powers relating to intelligence work added by a Government Survey and Reorganization Commission in 1954. It was abolished on September 16, 1972, by President Ferdinand Marcos under Presidential Decree 51 and replaced by the National Intelligence and Security Authority (NISA) headed by General Fabian Ver. The agency was primarily used to track down and eliminate anti-Marcos opponents before President Marcos was forced into exile. During his reign, it was one of the main government organizations accused of human rights abuses. 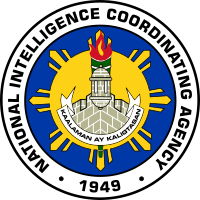 After the first EDSA Revolution, it was renamed the National Intelligence Coordinating Agency in 1987, replacing the NISA, and was merged with the Civil Intelligence and Security Agency when the Philippine Constitution was revamped, where it refocused its priorities in tackling the communist movement. Their work has resulted in their weakening in the late 1990s. In 1990, the Philippines' national security advisor was given responsibility to oversee management and control of the agency to be responsive to the needs of the president and the National Security Council. Executive Order Number 492, issued on February 1, 2006, orders the NICA to activate the National Maritime Aerial Reconnaissance and Surveillance Center or NMARSC, which shall serve as the primary IMINT provider for the Philippine intelligence community. Under the supervision and oversight of the National Security Adviser, the NICA-directed NMARSC will operate unmanned aerial vehicles or UAVs to cater to the imagery intelligence demands of various government agencies. NICA agents were responsible for the arrest of several Abu Sayyaf members, including Al Qaeda-linked bomber Abdulmukim Edris. The NICA is also active in the Philippines' Anti-Terrorism Council, in order to set guidelines in passing a proposed the Anti-Terrorism Law, known as the Human Security Act signed by President Gloria Macapagal-Arroyo on February 8, 2007. In 2005, it started activation of two directorates involving economic intelligence and counterintelligence. House Bill No. 7111, or the proposed Foreign Electronic Surveillance Act by House Majority Leader Rodolfo Fariñas would allow NICA agents to covertly conduct electronic surveillance operations against foreign countries, terrorists and private groups without the need of having a warrant or a court order in an emergency situation. A warrantless operation outside Philippine soil would need approval from the director general and the secretary of the Department of Justice. In 2016, it was accused of falsifying intelligence reports acquired by Senator Gordon. Some politicians have criticized its personnel for taking some of its intelligence from a satirical website. Fabian Ver, accused by various human rights groups of using the NISA, as the agency was previously known, as an anti-Marcos watchdog as well as the "secret police" of the regime supported by the military and the police elements to crush the subversive elements at that time. Alfredo Filler, retired as Vice Chief of Armed Forces of the Philippines after serving as director. Col Vicente S. Yumul in 1986 took over as director-general of NICA after Gen Fabian Ver was ousted when Cory Aquino became president. ^ "Asian Journal". AsianJournal.com. Retrieved January 26, 2017. ^ a b c "History of NICA". Archived from the original on June 2, 2003. Retrieved 2003-06-02. CS1 maint: BOT: original-url status unknown (link). Retrieved on December 27, 2007. ^ a b c "Comparative Criminology - Asia - Philippines". SDSU.edu. Archived from the original on May 18, 2013. Retrieved January 26, 2017. ^ "CNN - Breaking News, Latest News and Videos". CNN.com. November 14, 2002. Retrieved January 26, 2017. ^ Ready To Implement Anti-Terror Law. Retrieved on July 24, 2007. ^ Why Arroyo needs anti-terror law. Retrieved on November 28, 2007. ^ Intel agencies invoke broader national security concerns to justify budget. Retrieved on November 24, 2008. ^ "Senators slam PH intel agency for using fake site as source". Rappler.com. Retrieved January 26, 2017. ^ "List of Foreign Participants". satp.org. Retrieved January 26, 2017. Wikimedia Commons has media related to National Intelligence Coordinating Agency. This page was last edited on 18 June 2018, at 04:49 (UTC).